Fort Worth has low unemployment, tremendous sports teams from the Dallas Cowboys, Dallas Mavericks, Texas Rangers, Dallas Stars , FC Dallas and more. The area has one of the youngest and fastest growing populations in the country. The Metroplex has about 5 million residents including all the surrounding suburbs. As a perspective buyer or seller of real estate it is an exciting time to be considering Fort Worth homes for sale. Texas Christian University and Southern Methodist University and 7 other universities, colleges have upwards 70,000 students making it a great recruiting place for employers. The Fort Worth Texas Metroplex business growth is rated one of the fastest growing job growth areas according to Money and Forbes Magazines. I am a born and bred Texan and I can tell you that the people of Tarrant County are the friendliest in the world. There is no better place to live and I personally welcome you to the State, the area and my site. Fort Worth Texas real estate is doing well and I look forward to serving your needs in the future. 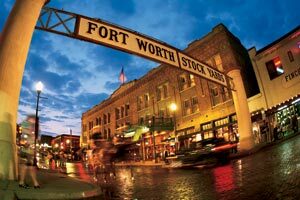 When researching the U.S. Census Bureau, the city of Fort Worth was one of the top growth areas in population between 2008 and 2009. The market is projected to grow by 14.7% over the next ten years. Fort Worth is the place to live. Fort Worth Real Estate has new communities, new schools, parks and room to enjoy the great outdoors -- it's all here. Great real estate opportunities! Home sales in Fort Worth through May 2007 are up and the inventory is consistent with only a slight increase in the average price per home to Something went wrong when loading Something went wrong when loading #stats-fortworth-avgprice#. Sorry for the inconvenience.. Sorry for the inconvenience..
My research looked at data about Fort Worth Texas homes for sale from numerous sources, including Fortune and Money magazines and The Census Bureau numbers. Some samples based on the research: Fort Worth 's average home price is well below the national average but the median family income being above $51,000.00 which is above the National average for similar communities. Fort Worth was ranked the fifth most affordable and attractive U.S. market by most authorities on the subject. The average price in Fort Worth for such a home? Try Something went wrong when loading Something went wrong when loading #stats-fortworth-avgprice#. Sorry for the inconvenience.. Sorry for the inconvenience. - well below the national average in similar communities of $224,000. That's the Texas Market today. According to the latest research, essentially that same 2,200-square-foot house in Dallas averages Something went wrong when loading #stats-dallas-avgprice#. Sorry for the inconvenience. ; Our research findings revealed that Fort Worth ranked in the top 15 best places in the nation to own real estate for 2007 and 2008, with appreciation projections running between 2 -3 % in the next few years. The research also cited Fort Worth as one of the large cities for relocating families in 2008. We are talking about the entire country. Fortune 500 companies such as Bell Helicopter, Lockheed Martin Aircraft, Radio Shack and American Airlines are indications of the quality corporations that have helped Fort Worth grow to it's current population. My Real Estate Services are free of charge to the homebuyer. The seller of the property pays our fee and we represent your fiduciary interests in the entire transaction. 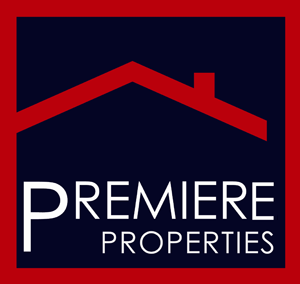 Our Mortgage Services are at the best rates and fees in the area because of our one stop shopping concept. Call today at 817-690-9296 for more information.